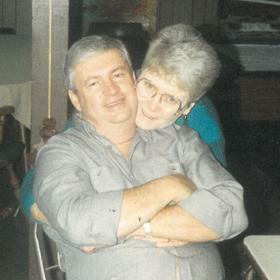 Dearly loved and admired, Kay Speese was a devoted wife, mother, grandmother and friend. She added much to the lives around her with her loving spirit, giving nature and encouraging words. Family was by far Kay’s greatest joy and in them she found those who knew and loved her best. Kay lived and loved life completely. She savored much, enjoyed the company of good friends, and held fast to living a life of integrity filled with honesty and respect. Although she will be deeply missed, the memories Kay leaves behind are a one-of-a-kind legacy to be forever treasured. Born on August 12, 1937, in the riverfront city of Grand Rapids, Michigan, the birth of Carol “Kay” was a most welcome event in the lives of her parents, Albert and Helen Cooper. It was an eventful year altogether in the nation as The Golden Gate Bridge was brought to completion in San Francisco, California. Aviation pioneer Amelia Earhart’s disappearance that year continues to remain a mystery and the explosion of the Hindenburg marked the end of the airship era. Although life continued to be a struggle for families, the repercussions of the Great Depression were slowly coming to an end and hope was on the horizon. Raised in Kalamazoo, Michigan with her siblings, Sue, Sally, Douglas and Beth, “Kay” was the third of eventually five children in her family. Her older sister couldn’t quite say her name Carol and called her Kay, so the name stuck with her. Kay’s father supported their family as a salesman while her mother remained at home when Kay and her siblings were young but later became a schoolteacher. 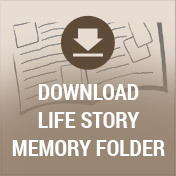 Quite a close family, Kay enjoyed a childhood typical of her generation. She was a friend of many and went on to graduate from St. Augustine High School with the Class of 1955. It was in Kay’s 11th grade year when Kay and a handsome Tom Speese became a couple. They had known each other since first grade and had attended school together throughout the years. After graduating, Kay began attending Nazareth College with aspirations of becoming a teacher just like her mother but decided to leave her schooling behind after two years to marry her sweetheart, Tom. Kay and Tom were joined in marriage on August 3, 1958. It was only the beginning of what would become over 60 years of a wonderful, deep and abiding love. To their union they welcomed the births of their four children. Mike their firstborn came along in 1958, followed by Pat in 1960. Lauri was added to their fold in 1961, and Jim completed their family in 1965. Kay remained at home with her children. She made a good home for Tom and the kids, keeping it well organized and running efficiently. She was a wonderful cook with her famous pot roast and gravy as one of her many specialties. Kay was not only a mom to her own children, but the Speese house was a gathering place for many of the neighborhood children. All were welcome in her home where she would often feed the other kids and scold them when appropriate. She treated these kids as her own but in return she expected them to act accordingly. It wasn’t uncommon for everyone to stop playing a game of ball while they each helped to bring in the groceries. In addition, Kay was supportive of all her children’s endeavors. From sporting events to school functions, Kay encouraged her kids in every way. Treasured times were shared as a family on several vacations when the kids were young. Later, she and Tom enjoyed traveling and visiting the casinos. Kay especially loved traveling up north to Traverse City and Petoskey to see the colors and visit the small shops and to Chicago for all it had to offer. 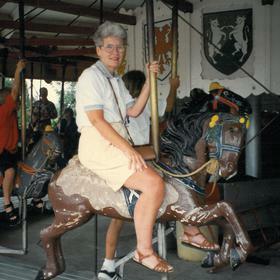 She especially enjoyed spending the winter seasons at their Florida home in the Villages after Tom retired. Kay also cherished the special trip she and Tom took to Hawaii for their 25th wedding anniversary. Family was always near and dear to Kay’s heart. She always looked forward to everyone getting together at Christmas and Thanksgiving where Kay was in charge of her delicious stuffing. She even did yearly cookie baking with her sisters at Christmas time, and now the tradition continues with the new generations. Kay made the most beautiful afghans which she often gave as gifts for family and friends, and as treasured wedding gifts. As an avid reader, she was fond of Daniel Steele novels, and late in life she took up adult coloring. She belonged to a bridge club and took her card playing quite seriously. She possessed a competitive and resilient nature, yet Kay was just as sensitive and caring as well.  As a charter member of St. Catherine’s Catholic Church, Kay was devout to her Catholic faith. As health problems came her way over the years, she underwent numerous operations and relied on her faith and the love of family to see her through. Despite these setbacks, she never stopped attending the sporting events of her loved ones. In fact, in the last few years Kay took a keen interest in Tiger baseball. Kay was also a woman of grace. With ways all her own, she carried herself with class and always made sure she was dressed just right: her lipstick was on and her hair combed neatly. Just one of the many things so loved about Kay, she was just as devoted to those she loved. She taught her family many things, but her sense of honor and respect and just being a good person are some of the qualities many remember and learned from Kay. Just as loved as she loved so deeply, Kay will be dearly missed as her legacy continues on. Family was indeed Kay’s greatest joy and she loved nothing more than having everyone together. For the last two months a family celebration has been in the works slated for the afternoon of Saturday, July 28th. Yet in true Kay fashion, even though she was not feeling well, she didn’t want to be the center of attention and wanted the party to go on. 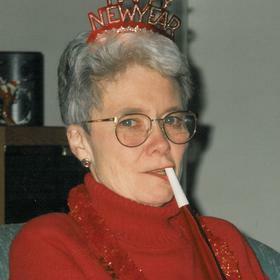 Kay died just a few hours before things were to start, and her family wasn’t torn whether to be with her that afternoon or to be at the party. In many respects, Kay was there in spirit, complete with her lipstick on and her hair perfectly combed, smiling down on her family. 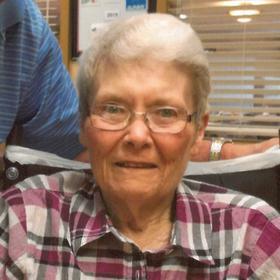 Carol “Kay” Speese as she was known throughout her life, passed away on Saturday, July 28, 2018 at Rose Arbor Hospice due to complications from pneumonia. She was preceded in death by her parents; her sister, Sally and by her brother, Douglas. 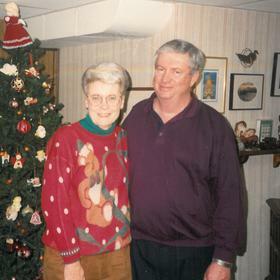 Besides her husband Thomas, Kay is survived by their children: Michael (Teresa) of Kalamazoo, Patrick (Dawn) of Holland, Lauri (Tracy) Fox of Portage and Jim (Anne) of Battle Creek as well as her sisters, Beth (Bill) Robbins of Kalamazoo and Sue (Dan) Wagner of Richland. She is also survived by nine grandchildren and six great-grandchildren. In lieu of flowers, memorial donations may be made to St. Vincent de Paul at St. Catherine Catholic Church, Rose Arbor Hospice or to a charity of your choice.